Hello and happy Friday! There's only about 3 months until Christmas, can you believe it?! This is a pre-announcement of sorts.. I'll be teaching the Christmas Stitches class again this year: pretty things to make as gifts or decorations, like the snowflake design in the picture! 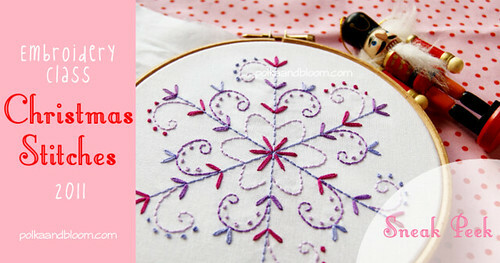 Most of the patterns and projects will only be available through the class. It starts on October 17 and runs for 4 weeks.